Strong efforts to remember the Centennial are coming from America's local museums and art community. The poster below was featured at an exhibit closing this week at the Boston Athenæum. Download our list of local events to see what programs might be available in your area. The interest in the Great War generated by the Centennial commemorations has led to an explosion of local events and ongoing displays of art and artifacts from the war. We simply lack the space here to list them all. Fortunately, however, the staff of the Centennial Commission has taken on the job of providing a listing of all these presentations they hear about. We will make their current listing available here for downloading and revise the document as it becomes available to us. Click HERE to download the current list. Published in Der Krieg Wort Bild (The War in Word and Image). From Tony Langley's collection. One hundred years after the battles, archeologists are exploring major battlefields of the war. Some of their work results in the discovery of forgotten burial sites and helps begin the process of honoring those fallen there; other work involves restoration of the battlefields and trenches so the public can better appreciate them; and some of the work helps shed light on the day to day existence of the men in the front lines. The Germans enjoyed a varied assortment of alcohol rations, ranging from small measures of beer, German wine, brandy, and, most famously, schnapps. The daily schnapps rations of 125ml enjoyed by many of the German forces played a pivotal role in defining the war in the German psyche, especially from those who went on to write their experiences of the conflict. The machine gunner and Expressionist artist Otto Dix recalled the experience in the trenches as: "Lice, rats, barbed wire, fleas, shells, bombs, caves, corpses, blood, Schnapps, mice, cats, gas, artillery, filth, bullets, mortars, fire, steel." 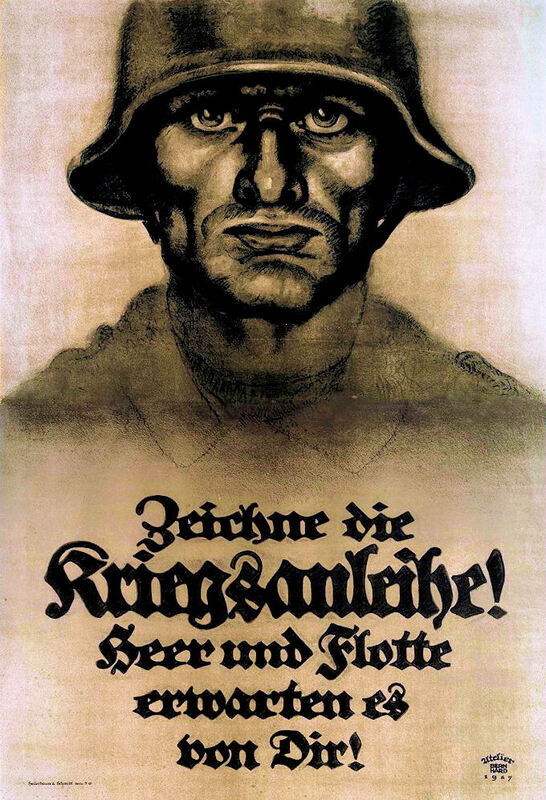 During the 1920s Erich Maria Remarque, author of the seminal All Quiet on the Western Front, wrote lovingly about schnapps, saying, "It is easier to write about the psychology of women than to understand schnapps; schnapps has soul." Why is World War I important in American history? Quite simply, the Great War generation played a critical role in constructing the modern U.S. Army, turning World War II soldiers into the most privileged veteran generation in American history, and determining what mass military service would mean for millions of American men throughout the 20th Century. This contribution of the American Battle Monuments Commission to the Centennial is a great resource both for teaching young people about the war and for brushing up on the big events year by year. It has a number of surprising advantages. First, despite being the product of a U.S. agency, it is comprehensive in its coverage of the war. It not only covers military operations before America entered hostilities, it also includes excellent material on the origins of the fighting and the postwar heritage of the battles and peace settlement. Second — and this is most important for the younger, computer-savvy, students — it is visually eye-catching and stimulating. 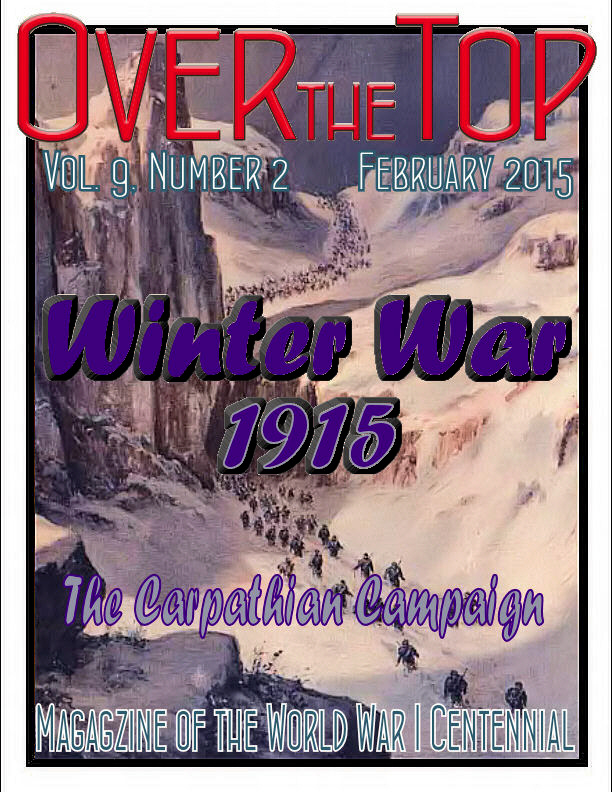 And lastly, the American battles of 1918 are given full coverage. Alas, this, however contributes to my one criticism of the timeline: 1918 was so busy and so jam-packed with important events, the designers might have benefited from splitting it into two parts. This is a minor issue, though, in light of the overall value of the site.  The 1915 home page, one of seven home pages, can be viewed above. There are similar launching sites for each year of the war and for the pre- and postwar periods. This 1915 page provides access to 16 separate multi-media features on battles and events of the year, one of which, the May Gorlice-Tarnow Offensive of the Central Powers, is shown below. There are 123 such pages across the site. Their interactive features of each includes a multi-page, concise, printable summary of the battle, a sectional map, and a brief documentary video. 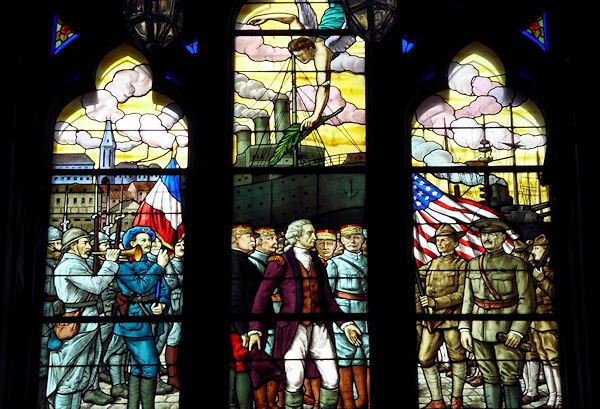 The American Memorial Church, Château Thierry, France, held an "Americans in World War One" service on 25 Jan 2015 with the participation of the President of the Region Paris Protestant Reformed (Presbyterian) Church of France and the U.S. Presbyterian Foundation. Mr. Jerry L. Hester, a private citizen and member of the US World War One Commission, along with Rev. Thomas Taylor, President and CEO of the Presbyterian Church Foundation, were present with a team which established the cooperative agreement to begin raising $2 million for the complete restoration of this church by 2017. Other marketable assets, credit card, and wire transfer options are available by calling 1-800-858-6127. The American Memorial Church was built by the Reformed Church of America in memory of the soldiers and chaplains who lost their lives in the war, especially during the Second Battle of the Marne, which took place in the surrounding areas of the Marne and Aisne Rivers. 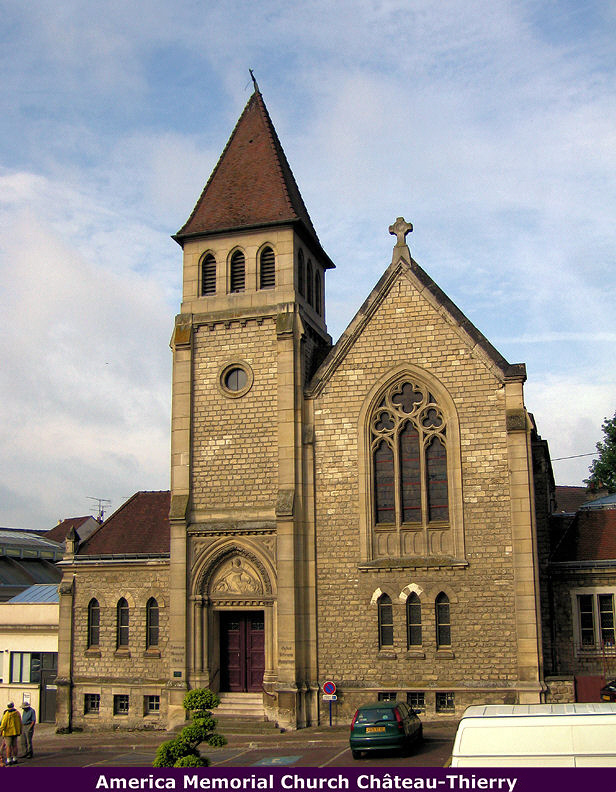 The church was dedicated in 1924 and was later transferred to the Protestant Reformed Church of Paris. The Theodore Roosevelt family has placed an altar Bible in the Church in memory of their son, Quentin, an aviator in WWI, who was killed nearby. The town of St. Mihiel on the Meuse River fell to the Germans on 24 September 1914, the beginning of a four-year occupation. American commentary four years later assessing the front line stated, "The German possession of St-Mihiel cuts both canal and railroad at that place and greatly embarrasses the French transportation system." 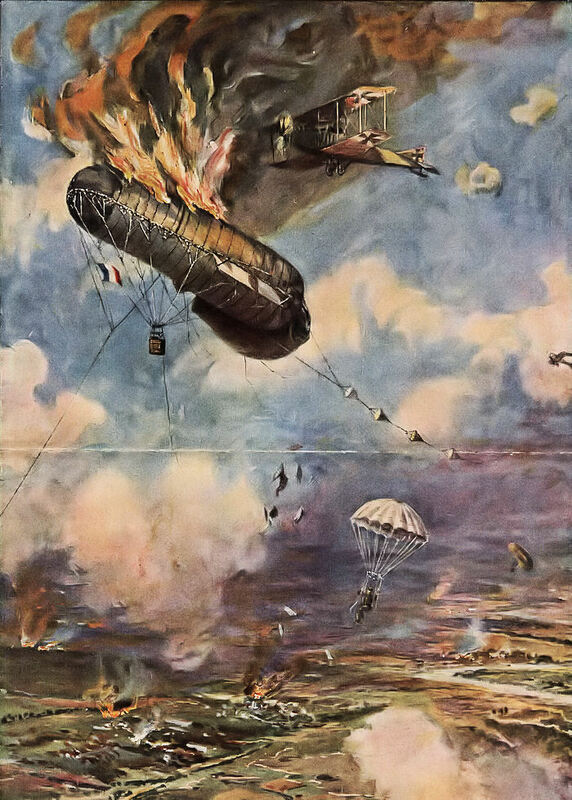 The consequences of this German attack at St. Mihiel were serious. It placed the main rail, road, and canal supplying Verdun in enemy hands and brought the main lines of communication into Verdun within range of German guns. Verdun was supplied by a single railway the Petit Meusin, a narrow gauge line running from Bar-le-Duc. The danger presented by such conditions became evident when the battle of Verdun started in February 1916. Verdun was effectively neutralized as a base from which the French could conduct sustained and meaningful offensive operations in the region. To France, the German occupation of St. Mihiel became a visible and lasting hernie (hernia). Minor skirmishes became the norm for the most part. A French attack against St. Baussant on 12 December met with catastrophic losses, including several hundred prisoners taken by German forces. In December 1914 General Joffre placed the 32e corps d'armée at the disposal of General Sarrail. The simultaneous advance of the Germans on the heights of the Meuse and in the Argonne alerted Joffre to place more effective fighting units at the Woëvre. He personally considered the 32e corps d'armée to be one of the best. The new year saw General Joffre focusing on St. Mihiel. He issued a series of instructions on 21 January, ordering an attack against General der Infanterie von Strantz's detachment presently holding St. Mihiel on the east bank of the Meuse. The following months did not achieve the goal Joffre sought. On 18 March he informed General Dubail that he wanted IVe d'armée to undertake the operation to reduce the St. Mihiel salient as soon as possible, employing all means at his disposal in this attack. General Dubail had four corps d'armée and a corps de cavalerie to work with. GQG [French General Headquarters] planned an offensive for 5 April on the southern Woëvre plain to relieve Verdun. The plan comprised two simultaneous attacks on either arm of the salient, one in the direction of Verdun to La-Chaussée and the other centered on Toul-Thiaucourt. On 30 March the French 73e division d'infanterie attacked along the Moselle River capturing over 500 metres of enemy trenches west of Bois-le-Prêtre in the Quart-en-Réserve. 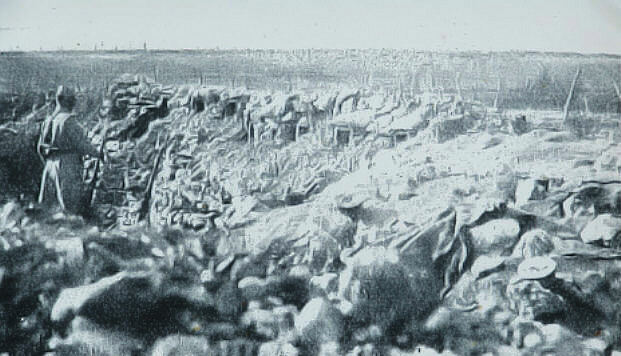 The 1re corps d'armée and 2e corps d'armée, which were to operate east of Verdun and against the northern arm of the St. Mihiel salient, were moving up the line with the intent of establishing themselves within assaulting distance, where they were to remain until the artillery bombardment commenced. The 31e corps d'armée established itself at several points only 100 meters from the edge of Bois de Mort-Mare (Death Pond). News Flash!!! Our 100th Anniversary of Gallipoli Tour, to be conducted in collaboration with Mat McLachlan Battlefield Tours of Australia, NOW HAS ADDITIONAL SEATS AVAILABLE! Contact Valor Tours ASAP. 2-10 May 2015: I will lead this tour and cover the 1914 and 1915 Battles North of Paris, including the Aisne & the Race to the Sea, the Siege of Antwerp, the First and Second Battles of Ypres, the Christmas Truce, and the French and British Battles in Artois. 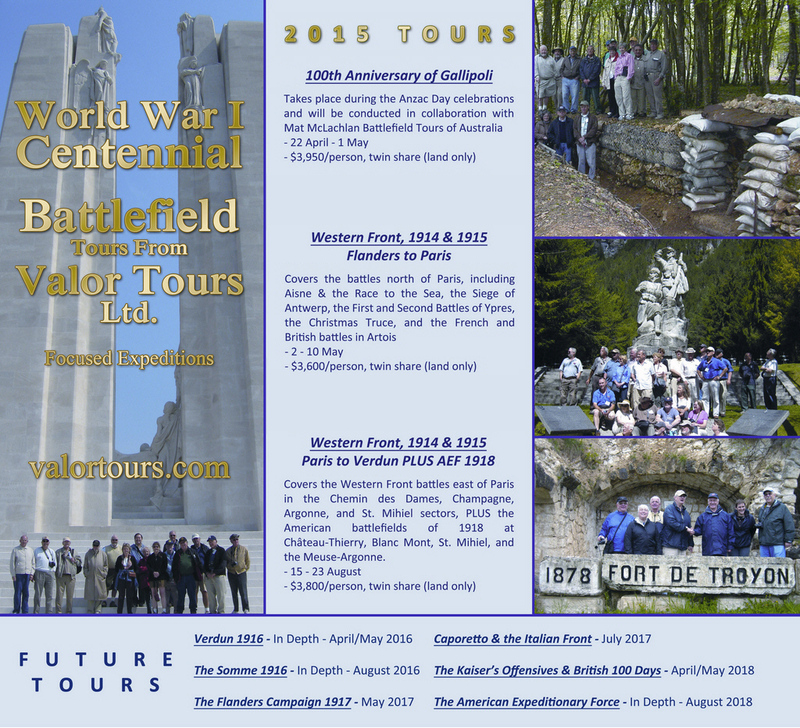 15-23 August 2015: My summer Centennial expedition will cover the Western Front Battles of 1914 and 1915 East of Paris in the Chemin des Dames, Champagne, Argonne, and St. Mihiel sectors, PLUS the American Battlefields of 1918 at Château-Thierry, Blanc Mont, St. Mihiel, and the Meuse-Argonne. Deposits received by 15 February 2015 will result in a 5% reduction in the tour costs. Full payment by that date will result in a 10% discount. No doubt you will regard this as rather unorthodox, my pushing my way into an electronic publication. First electricity, then telephones, now the Internet. Sometimes I feel as if I�m living in an H.G. Wells novel. But life is a game, where sometimes the player must appear ridiculous. While there can be too much truth in any relationship there is a time for forthrightness. I must say that I find this fascination in our former colonies with my family's story a bit puzzling, and — forgive me for saying this — utterly middle class. 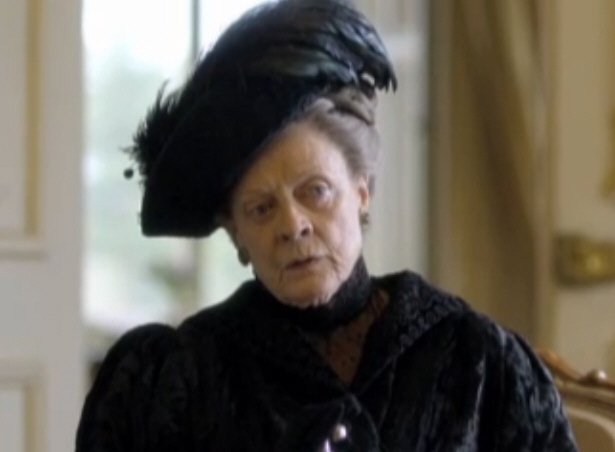 Especially so, since before Downton Abbey there was Abingdon Pryory and the Greville Family Saga, which I'm amused to say were brilliantly chronicled by that American from Hollywood, California, the late Mr. Philip Rock. (Why does every day involve the intrusion of an American?) If you would like to discover the source from which Downton Abbey's producers borrow their plot and some of my dialogue, you might consider reading this wonderful trilogy that was reissued recently. What passing-bells for these who die as cattle? Only the monstrous anger of the guns. Only the stuttering rifles' rapid rattle: Can patter out their hasty orisons. . . The British Army was the first to use tanks, deploying them at the battle of the Somme in 1916. The Allied forces used tanks in even larger numbers in 1917. The potential of this new weapon was realised perhaps too late by the German Army. In late 1917 the Germans produced 20 A7V Sturmpanzerwagens which were deployed in combat the following year. Crewed with 18 men, the cumbersome war machines clambered into action in April 1918. The German tanks were engaged in actions at such places as Villers-Bretonneux, a small French village that was recaptured by Australian soldiers at the cost of 1,200 lives. The A7V�s were involved in the first tank versus tank action. 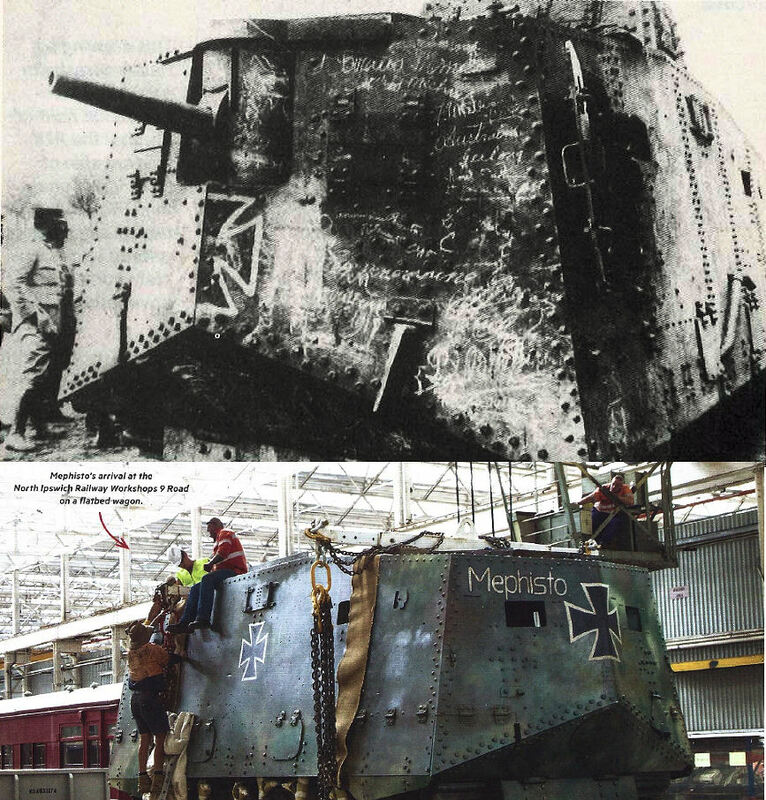 The A7V Sturmpanzerwagen known as Mephisto (shown above) was immobilized in an area close to Villers-Bretonneux called Monument Wood. In July 1918 a detachment of soldiers from the 26th Battalion, mainly comprised of Queenslanders, helped recover the abandoned tank and drag it back to the Allied lines. It was sent to Australia as a war trophy, arriving at Norman Wharf in June 1919 where it was towed by two Brisbane City Council steamrollers to the Queensland Museum, then located in Fortitude Valley. It remains the sole surviving A7V tank in the world. The Emergence of the "Poilu"
The French frontline soldier of 1914 began morphing into the "Poilu" or "hairy one" as the war turned into a long slog. The expression has origins in the Napoleonic Wars and while it explicitly refers to the facial hair that the men in the trenches affected, it suggested some other qualities like virility, self-reliance, the rural background of many of the soldiers, and a propensity to resist authority (grumbling). 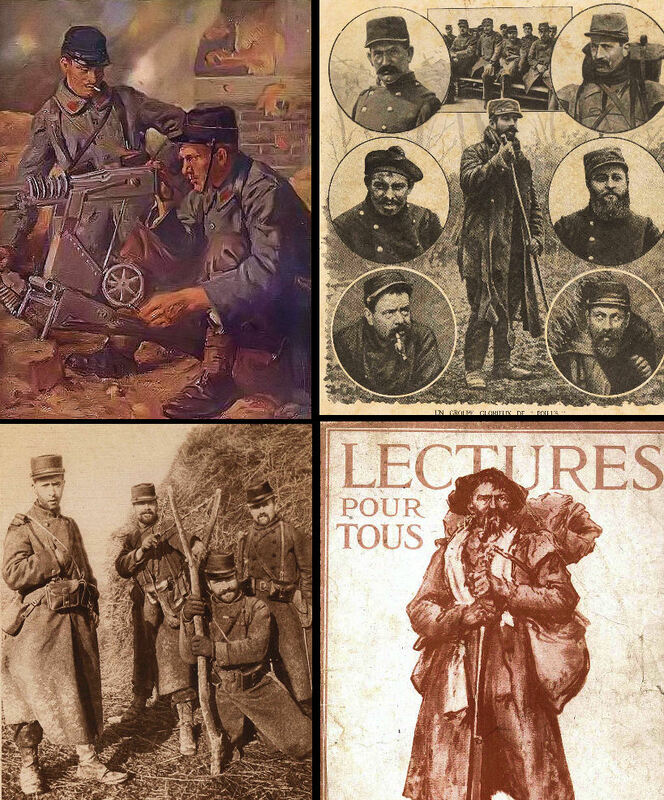 The images below from Tony Langley's collection show the evolution of the Poilu as presented in French publications. Top left, a sort of idealized, clean-cut image from the early war. Bottom left, a 1914 image shows the growing popularity among the troops for mustaches and beards. Top right, by 1915 the soldiers are showing serious cultivation of facial hair. Bottom right, a 1917 drawing shows an example of the French soldier who had fully emerged by that stage of the war, the Poilu. Untidily bearded, utterly independent looking, he is carrying all the things necessary for making life at the front bearable, including kitchen utensils, and is smoking his ever-present pipe. This poilu "look" became almost a uniform standard for the French enlisted men of the Great War. As one commentator later said, it came to look as if every Poilu had the same mother.